Sometimes having a little bit of a reminder on a technique is good. 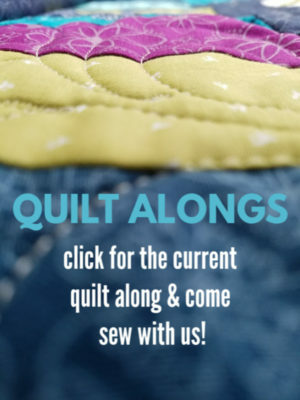 Today we will hit up the Quilt as you Go technique and a few things that will help learning it a lot easier. There are a few points that you should know or pay attention to before starting out. Just so you don’t have the same problems that I did– here they are! * Cut your backing and batting just a bit bigger than the top. 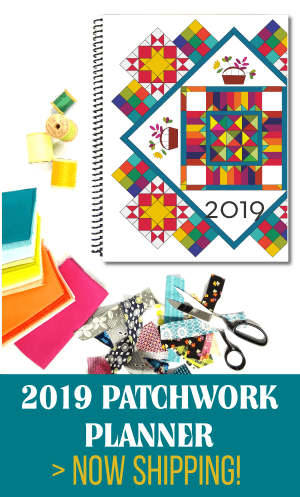 When you are finished piecing it and quilting, trim the block to the specific size needed. Sometimes things shift and if you measure correctly and trim before starting you might find your pieces just shy of the correct size because of it. Save yourself some trouble and start bigger, then trim. 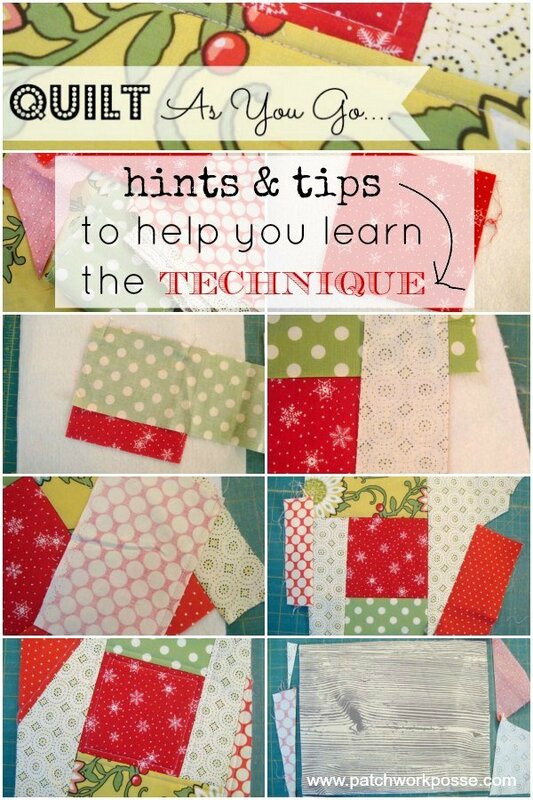 * Try using a busy print for the backing fabric. There will be seams in the back where the blocks are sewn together. A busy pattern can help hide things, so audition a few fabrics before starting. * If a layer that you are sewing is much lighter then the fabric is going on top of and you can see through, use a second piece of white fabric or muslin underneath the piece you are adding to cover it up. If you have another hint or tip– please share! Checking your 1/4″ seam allowance- How do you? It never occurred to me to spay baste the backing, but makes so much sense! 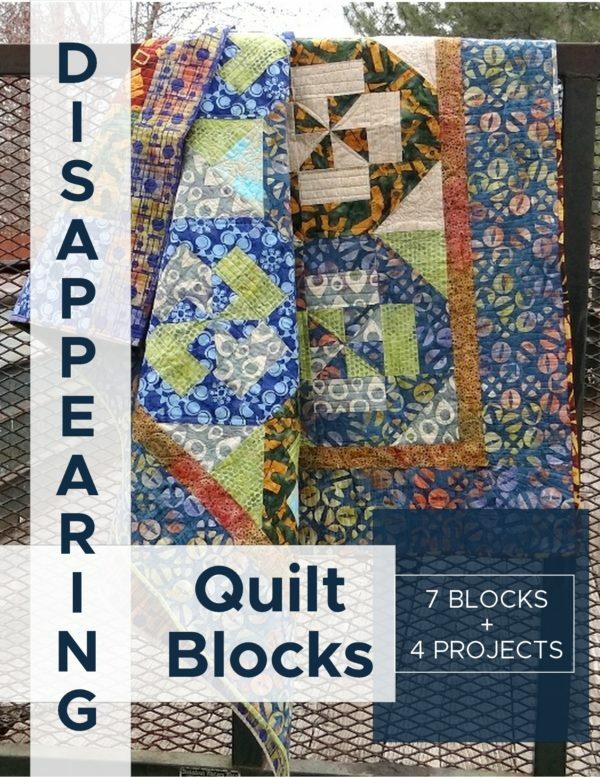 I’m going to have to make a QAYG quilt just to try this out – and the hint to add a piece of fabric to back lighter fabrics is also a keeper! Can you do qayg without sashing? I love all that you do. 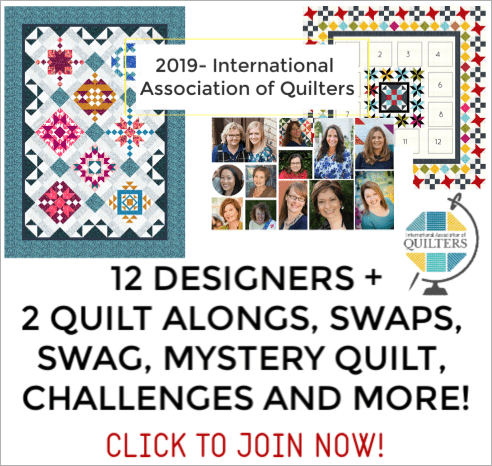 yes– if you are doing the whole quilt kind of together at once. If you are doing the qayg with each block, the sashing is there to hide the seams so it might be tricky a little bit.